The Vijay Amritraj Foundation supports by providing Funds for NGOs, and brings hope, help and healing to the defenseless and innocent victims of disease, tragedy and circumstance in India. 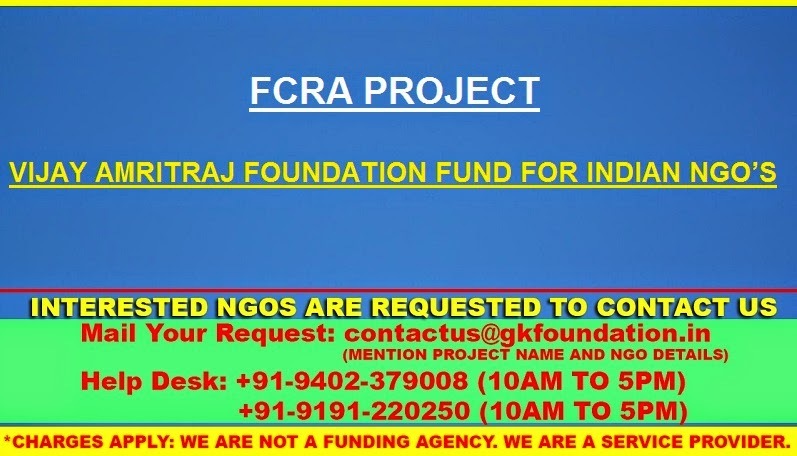 The Foundations focus is on funding the smaller charities of India who do not have the ability to raise money or awareness for their causes. Charities serving children and adults who face extreme challenges in life; HIV/AIDS, Family Abandonment, and Individuals Ostracized by society for their illness. Both general-purpose and project-specific requests are considered. In addition, both single and multi-year proposals are acceptable. Applications are accepted year-round, but those received between September 1 and December 31 will be considered only for the following calendar year. Proposals are reviewed and funded 3 times a year. Reviews take place in January, May, and September. During the review period, prospective grantees are strongly discouraged from contacting the Foundation.